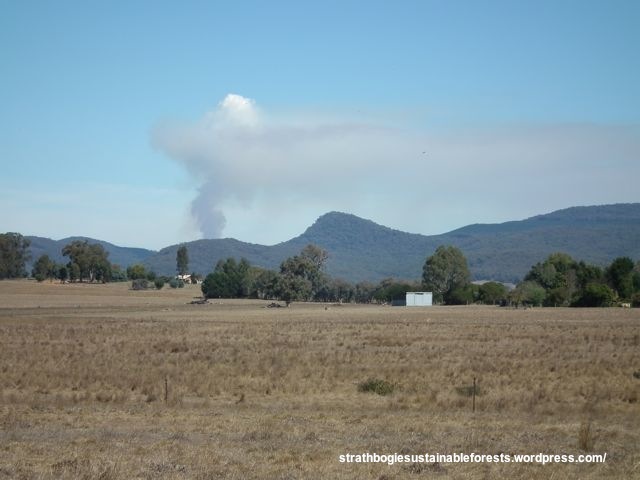 28 March 2015, 1:30 PM – Tames Rd planned burn, from Swanpool. Rocky Ned to the right of the smoke column. Just before Easter, DELWP decided to burn a 521 ha area between Tames Rd. and Gerars Tk., in order … “To develop fuel reduced areas of sufficient width and continuity to reduce the spread of bushfire.” The area was logged many decades ago and hasn’t had a fire since. It’s really just starting to recover. It’s not that this bush was knee-deep in branches, litter and logs, or choking in shrubbery. In fact, parts of the bush that didn’t burnt suggest that ‘fuel’ build-up wasn’t particularly noteworthy. Can a low intensity burn be too hot? The fire trickling through the forest was not always hot enough to remove shrubs, but ironically, it seriously damaged large numbers of trees. The answer is an emphatic YES! but it’s also a complex story. 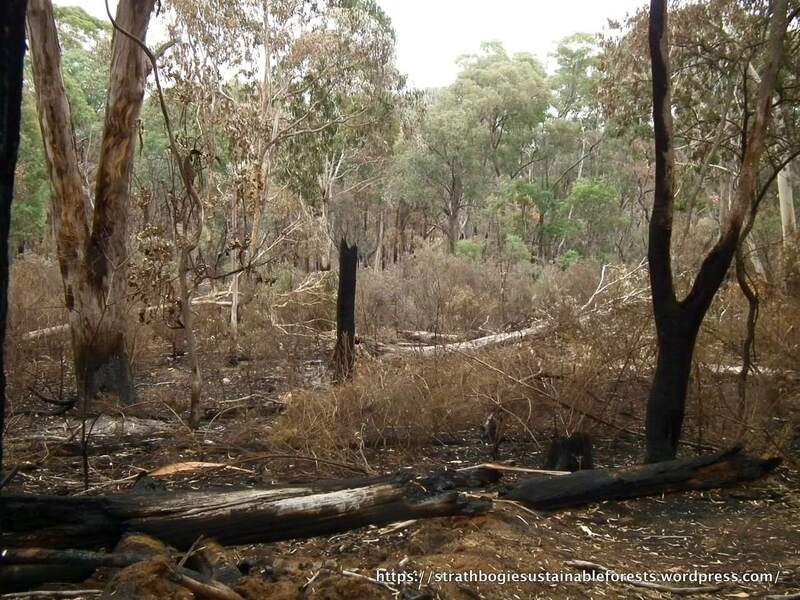 A small patch of forest on the slopes of Leerson’s Hill, at Toorour, was burnt a few weeks ago (by Hancocks Plantations, Victoria). From a fire planner’s point of view, conditions probably seemd good: no wind, dry fuel, mild day-time temperatures and cool humid nights. The forest at this site is recovering from logging perhaps 40 years ago and is a mixed stand of stringybarks, gums and peppermints. Most of the trees are young, but there are/were some older trees and dead trees with hollows. The whole district had received very little rain since January.